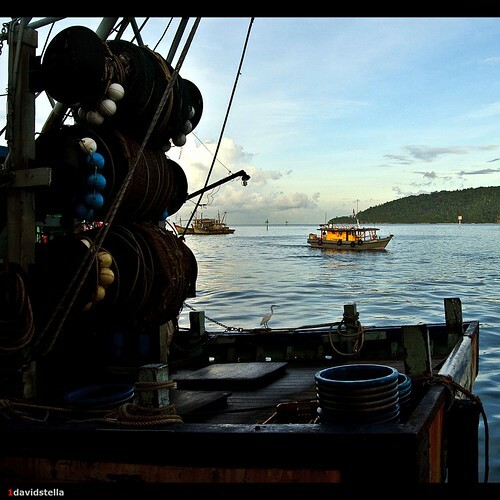 June | 2010 | Kota Kinabalu, People and Places, Street Photography. A traveller at the Sunday market, Gaya Street, Kota Kinabalu. Casual and simple. 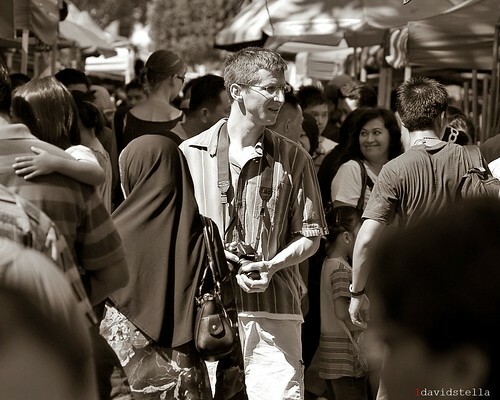 Photographed at the Sunday Market, Gaya Street, Kota Kinabalu. hey puppy! puppy! look here! Pet stall at gaya Street Sunday market. 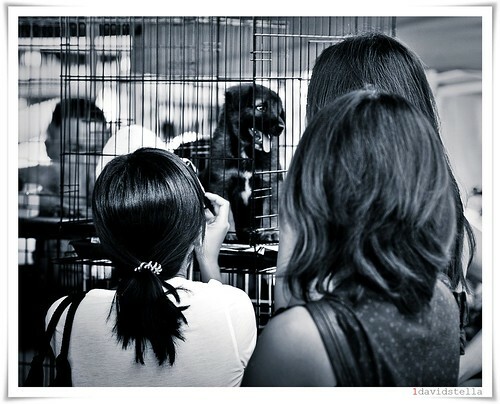 Kitty attracting a lot of attention and affection at a pet stall. 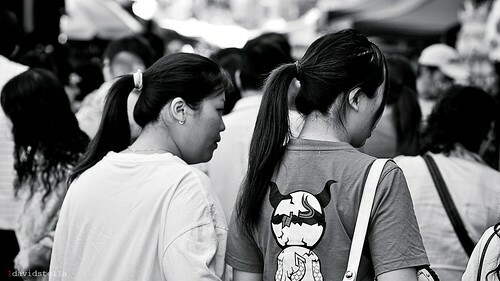 Photographed at the Sunday Market, Gaya Street, Kota Kinabalu. 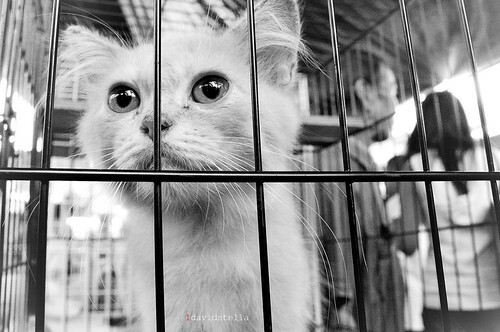 Kittens are popular and are quickly bought although the prices are expensive. I could not afford the kitten in the photo but I just had to take a photo of it. Most of the boats have berthed and had their catch unloaded. This one had just been given a wash. Photographed at the SAFMA wharf, Kota Kinabalu. This is a busy place from midnight until early morning. The fish stalls and crowd are behind me and to my right, at the Central fish market. Many of these boats have been retired from fishing duties. However, many are now converted into charter boats for off-shore fishing, servicing the lucrative tourism industry. A tourist in the morning sun and weaving his way through the crowd. 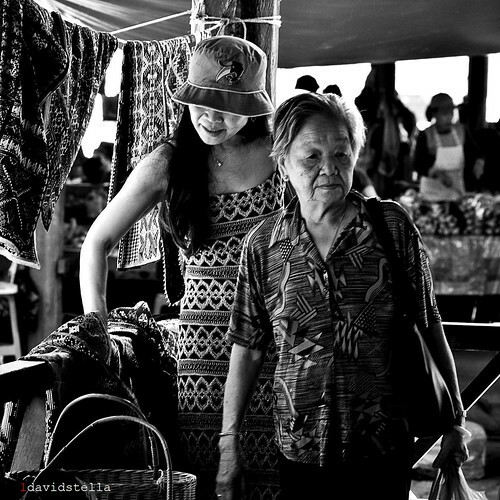 Photographed at the Sunday market, Gaya Street, Kota Kinabalu. 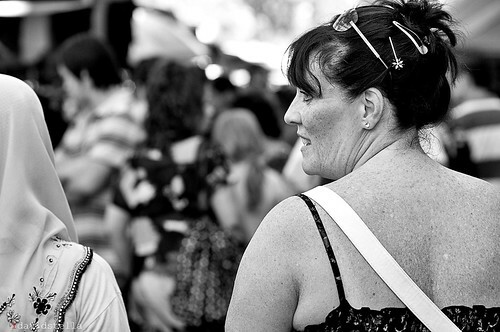 It is easy to pick the tourists in the scene… they stand head and shoulders above the crowd! Sabah is generally a very hospitable place. The community here is really multi-cultural. Old tajau (jar) at the House of Skulls, Monsopiad Cultural village. 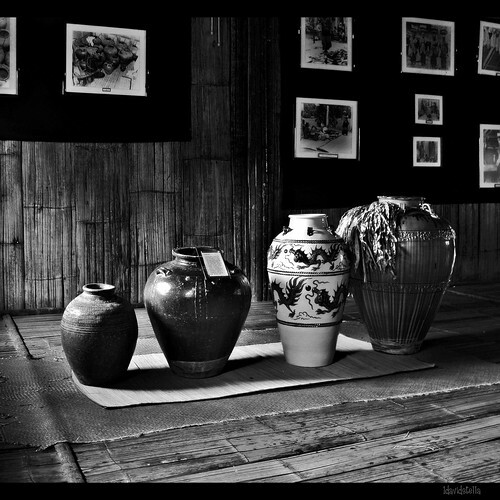 The 2nd from left is the Panding Tiga, a 16th century ceremonial jar originally from Thailand. Dried hisab palm leaves ward off evil spirits. These ancient jars sit in the House of Skulls at the Monsopiad Cultural Village. In the middle of this house, 42 skulls covered with dried hisad palm leaves, hang from the roof. They were beheaded by Monsopiad, the Kadazan warrior. The leaves are said to keep away evil spirits. The Monsopiad Cultural Village is constructed on ancestral grounds and is run by the 6th and 7th direct descendants of Monsopiad who lived some 300 years ago. It is located about 16 km from Kota Kinabalu city, in the district of Penampang, the Kadazan heartland. The Monsopiad Cultural Village was one of the venues of “The Amazing Race 4”, Leg 8. Ma'am sells some vegetables from her garden. 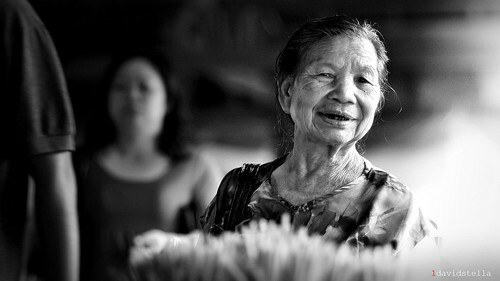 She is a regular at the weekly tamu (Thursdays and Fridays) of Donggongong township. 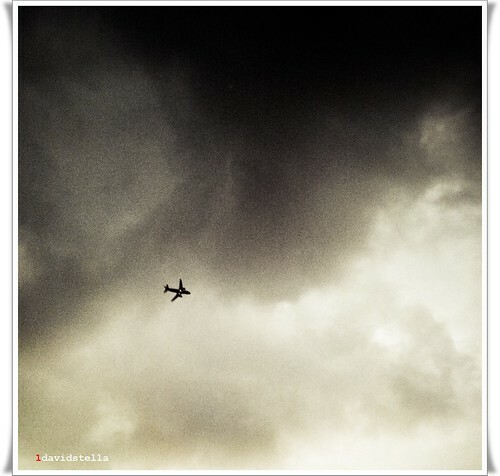 Shot on my cellphone and processed for a stormy weather feel.